Welcome to a new upcoming super specialty “Paediatric Gastroenterology and Hepatology”. Understanding the fact that spectrum of liver and intestinal disease in children are entirely different from adults, few centres abroad provide this exclusive super specialty. With the initiation of paediatric liver transplant program at Dr Rela Institute & Medical Centre, Chennai, I have Joined as Clinical Lead & Senior Consultant, to develop and contribute to “Paediatric Hepatology and Gastroenterology” subspecialty in India. 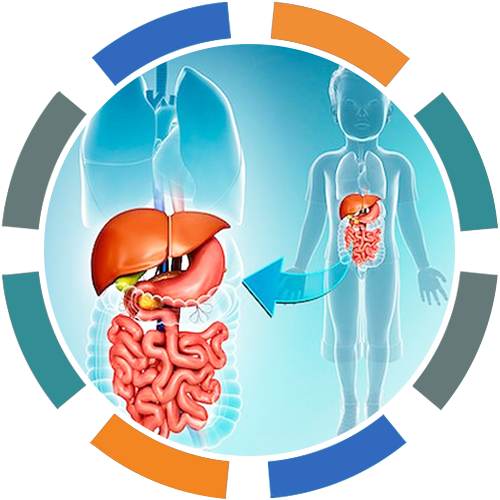 This website is developed to share information and will help patients and doctors in better understating of current concepts of diagnosis and management of various gastrointestestinal, liver and nutritional disorders in children. This site will deal exclusively with liver, GI and nutritional problems of babies, children and adolescents up to the age of 18, any queries regarding adults will be dealt by highly qualified adult hepetologist. Medical and surgical management of neonatal/ infantile jaundice. Nutritional assessment and management of children with liver disease, and various metabolic disorders. Parenteral and enteral nutritional support for various GI disorders such as intestinal failure, chronic diarrhoea, inflammatory bowel disease etc. NG, NJ, PEG placement for feeding.